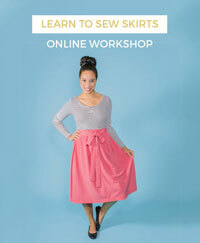 Don't you just love a quickie dressmaking project? 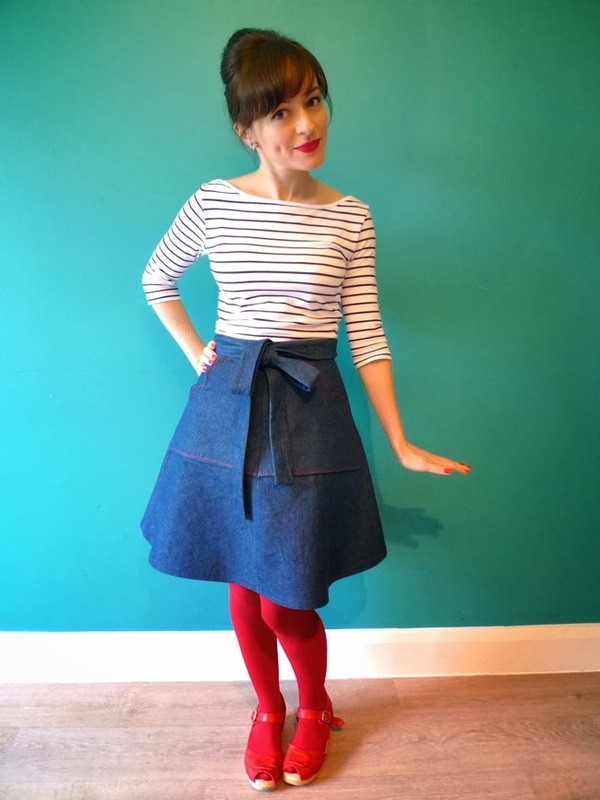 My third Miette skirt took all of two hours to make - it's so easy! 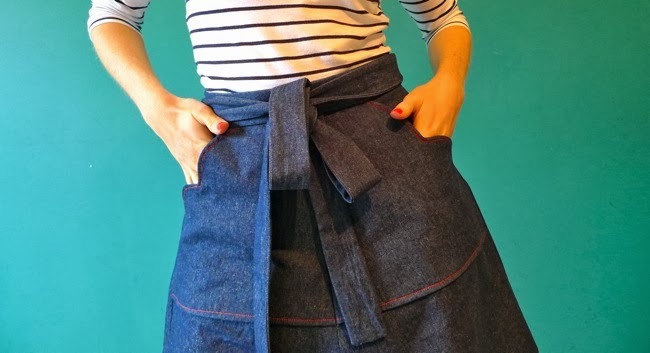 The perfect way to spend a chilly Autumnal evening in my book is to start with some fabric and finish with a skirt. 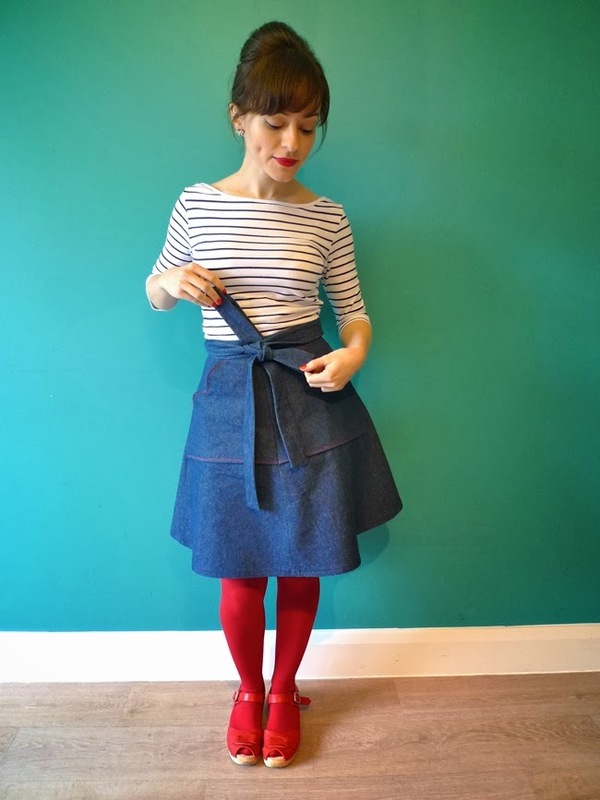 I'd seen so many gorgeous Miette skirts all over the internet recently that I couldn't resist whipping up another one for myself. 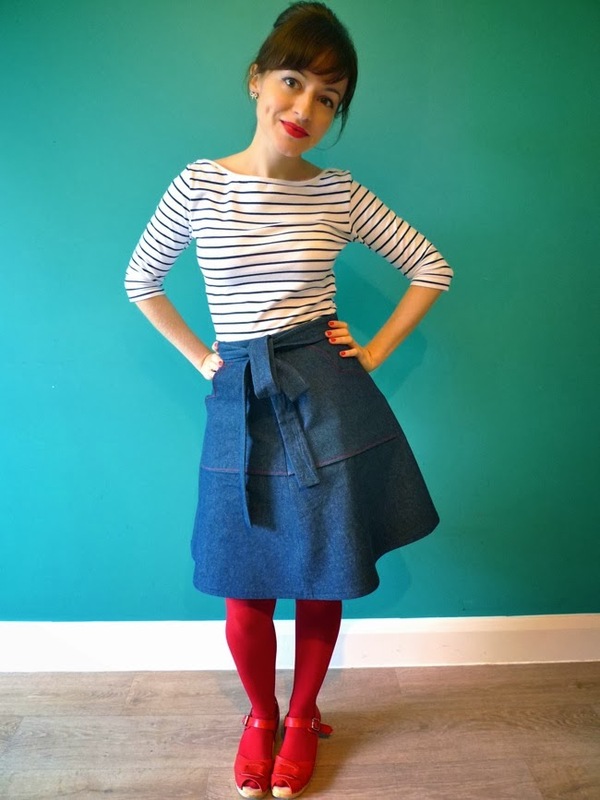 I'm definitely on a roll with sewing for my style - this is the kind of skirt I'd wear every day with a jumper or Breton top and various shades of coloured tights (mmm... coloured tights...). 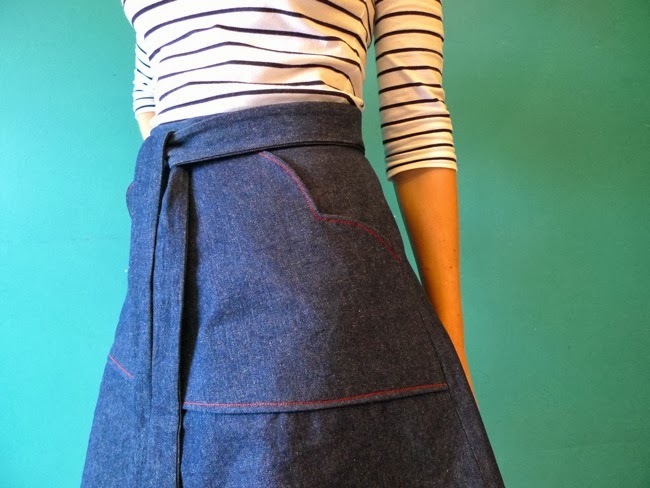 This time I hacked the pocket pattern to make a scalloped shape, inspired by this skirt that Casey made ages ago and which I still think about - love it so! I edged the pockets in red topstitching thread to highlight the shape. 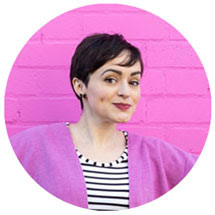 Have you made Miette yet? You can buy the pattern here. Do share a picture if it's not already on the Pinterest board!